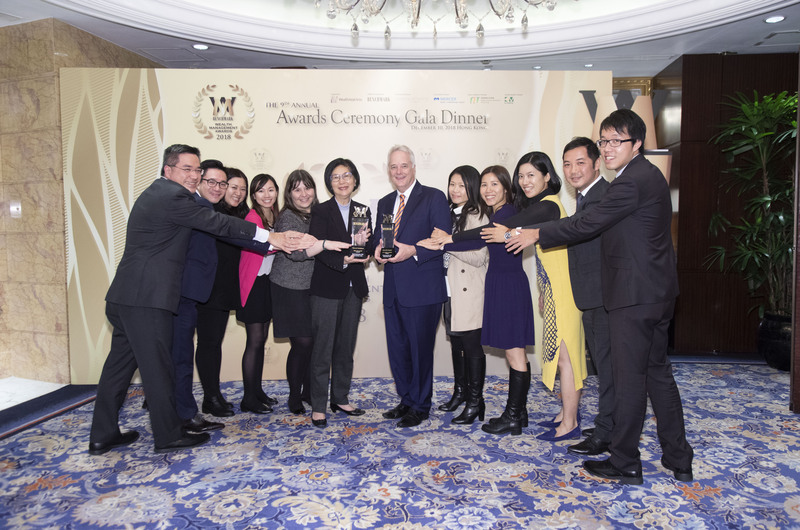 Transamerica Life (Bermuda) Ltd. (Transamerica Life Bermuda), a leading High Net Worth (HNW) life insurer, has won the Outstanding Achiever and Best-In-Class at the 9th Benchmark Wealth Management Awards in Hong Kong for the categories of Universal Life Insurance and Risk and Compliance respectively. Transamerica Life Bermuda is a leading HNW life insurance company dedicated to serving only HNW individuals (HNWIs). Its Universal Life Alpha product, specifically designed to meet the distinct needs of the new HNW generation, was awarded Outstanding Achiever - Universal Life Insurance. The product offers competitive pricing, high flexibility and long term cash value growth potential which are attributes valued by the new HNW generation when considering universal life policies for estate and business succession planning. In the Risk & Compliance category, Transamerica Life Bermuda was awarded Best-In-Class and recognised for its strong commitment to financial strength, risk control and corporate governance. The company adopts a “Three Lines of Defence” structure to promote a professional risk culture where risk management is embedded within the business processes and decisions. Photo caption: Mike Goodall, Chief Commercial Officer of Transamerica Life Bermuda, celebrates Outstanding Achiever and Best-In-Class awards with the team at the 9th Benchmark Wealth Management Awards. About Transamerica Life Bermuda: Transamerica Life Bermuda is a leading High Net Worth insurance provider, dedicated to offering life protection to High Net Worth individuals, families and businesses across Asia and beyond. Transamerica has been in Asia for over 80 years and has been the pioneer in managing universal life portfolios since 1981. Transamerica Life Bermuda is part of the Aegon Group, an international insurance, pensions and asset management company with headquarters in the Netherlands. Further information about Transamerica Life Bermuda is available here: www.transamericalifebermuda.com. About Aegon: Aegon’s roots go back more than 170 years – to the first half of the nineteenth century. Since then, Aegon has grown into an international company, with businesses in more than 20 countries in the Americas, Europe and Asia. Today, Aegon is one of the world’s leading financial services organisations, providing life insurance, pensions and asset management. Aegon’s purpose is to help people achieve a lifetime of financial security. Further information about Aegon is available here: www.aegon.com.